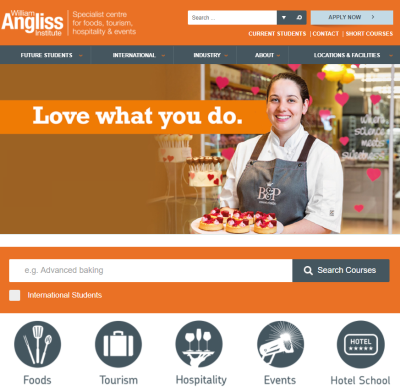 Australia’s largest specialist centre for foods, tourism, hospitality and events training use iBase digital assets management software for their marketing department and internal customers. William Angliss Institute in Melbourne use iBase for their internal media asset management system, enabling contributors and users throughout the organisationto upload and access material under the control of the marketing department. Requirements included the following, which are all standard features of an iBase brand management and digital asset management system. An on-premise solution using a locally hosted SQL database. Multiple users, including editors and administrators. For use in both MAC and Windows environments. Secure web client access for teachers & external publishers. Allow different file types to be stored & searched e.g. images/PDFs/Word/Powerpoint files. Access audit information and run usage reports (most viewed/searched/downloaded). Digital assets management tool for Marketing department and internal customers. Upload using drag and drop. Batch editing of all metadata fields.